There was "gross failure" in the care of a toddler who died while awaiting emergency surgery, a coroner has said. Serious and basic failings led to an "unacceptable delay" in Kayden Urmston-Bancroft's operation on a diaphragmatic hernia, an inquest heard. 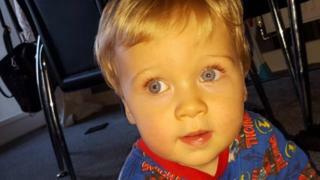 Coroner Angharad Davies concluded the 20-month-old 's death of natural causes was "contributed to by neglect". The former medical director of Royal Manchester Children's Hospital offered "profound apologies" to his family. Kayden, from Stockport, suffered a cardiac arrest at the hospital on 15 April 2016, three days after being admitted. He died two days later. The four-day inquest at Manchester town hall heard Kayden's death could have been prevented were it not for failings in his care. Ms Davies identified missed opportunities to perform the surgery and said there were "a number of serious and basic failings which meant Kayden was not operated on that week". The "unacceptable delay" in his surgery was "sufficiently serious to amount to a gross failure", she said. Kayden was transferred from Stepping Hill Hospital and placed on an emergency surgery list, the inquest heard. His notes said there was no bed available in the children's hospital's high dependency unit (HDU), so he could not have the operation. Mother Shannon Bancroft was "very upset" at the delay, but her son's consultant said he remained well, the notes said. A report showed a bed was not requested until midday on 15 April, but records showed three had been available on that day. The inquest heard consultant Mohamed Shoukry thought the bed for Kayden had been taken by another emergency. 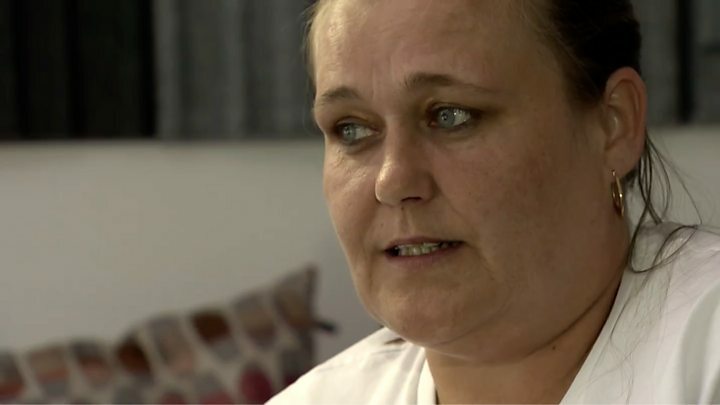 Ms Davies said it was "inexplicable" as to why he was under the impression there was no HDU bed available, saying there was a "basic, fundamental communication problem". She also told the court there had been "confusion" over who the consultant with responsibility for Kayden's care had been. It is one of Britain's biggest and most prestigious children's hospitals - but a coroner has made the extremely rare ruling for an NHS trust that there was gross failure in the care of a young boy with neglect contributing to his death. The coroner, in her conclusion at the inquest, covered some of the factors at Royal Manchester Children's Hospital which had caused "unacceptable delays" in the urgent operation needed by Kayden Urmston-Bancroft. This included what she said were difficulties with the hospital's culture which could allow routine surgery to be prioritised over emergency cases. When the BBC uncovered the story last year there were claims that the waiting list had got too long and there was pressure to reduce it. Lawyers for Kayden's family have welcomed the ruling but urged all hospitals to look at their own procedures to ensure there are no more such avoidable deaths. During the inquest, hospital boss Sir Michael Deegan said it was likely Kayden would have survived but for failings in his care. In a letter read out at Wednesday's hearing, he apologised unreservedly for the "unacceptable lapse of standards". After the inquest concluded, Kayden's family said "knowing that he could have been saved is hard to bear". "You take your child to hospital and you think everything will be alright, that they'll be able to make them better," they said. "We put Kayden's life in their hands and they let us down in the worst way possible. "We begged them to help him over and over, but instead we had to watch him fade away. "He died in pain and that's the thing I don't think we can ever forgive". Image caption Coroner Angharad Davies found the hospital made a "number of serious and basic failings"
After the inquest, Prof Bob Pearson - former medical director of the hospital's trust - offered "profound apologies" to Kayden's family outside court. He said the trust launched a "rigorous and wide-ranging" investigation after the death and measures in place "to make sure this does not happen again".